Bigger Telescopes Really Are Better. To the beginner, setting out on their first tentative steps to discover the universe, it’s an exciting time and the sight of a black star-filled sky. You just wanna be part of it! It can be enough to tempt even the most controlled newcomer into the quick, and perhaps premature, purchase of a telescope. But be warned: be patient and don’t get sucked into buying a cheap telescope from a department store. There are many sales tricks out there that may tempt you to part with your hard earned cash and there are things you need to know before you buy. Telescopes come in many shapes and sizes — inside them you will find a mirror, a lens or a combination of both. By far the most common designs are the refractor (made from lenses) and the reflector (made from mirrors).Good refracting telescopes tend to have 2 or more lenses stuck together, meaning four sides of the glass need to be carefully ground and polished into the right shape. Mirrors, on the other hand, have just one side that needs shaping. 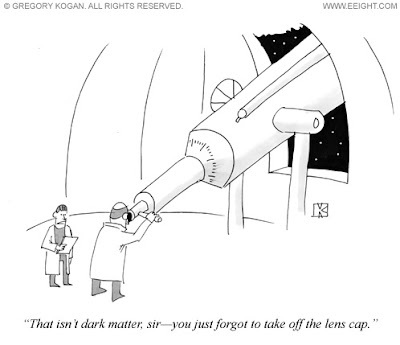 Therefore, it’s much cheaper to manufacture a reflecting telescope than a refracting telescope of the same size. For this reason it’s best to go for a reflecting telescope for your first purchase as you will get more telescope for your money. When it comes to deciding how big a telescope to get — and by that I’m referring to the mirror’s aperture — bigger really is better. Think of a telescope as a bucket for light; the bigger the bucket, the more light it can collect and the fainter the objects you will see. You will also see a finer level of detail in a larger telescope too, but you must also consider the practicality of a larger instrument. It will be harder to handle, harder to transport and as a result, you might end up using it less. A great starter instrument size to go for is about 15 centimeter (6 inch) aperture telescope, which is large enough to reveal plenty of faint objects but will also reveal some stunning planetary detail. combination. The focal length will be described by its ‘eff’ number such as f/4 or f/8, where higher numbers relate to longer focal lengths. As a good starter telescope, an f/6 or f/7 is ideal. In addition to the telescope itself, the mounting system needs careful consideration. There are two types of mounts, ‘alt-azimuth’ and ‘equatorial.’ The latter is more specialist and allows a motor to be attached to freeze the motion of the stars in the telescope field of view. These are essential for taking photogrpahs of the stars. The alt-azimuth mount is more like a camera tripod and much more difficult to motorise. Stability is of paramount importance as a wobbly mount is useless. A great example of a stable alt-az mount, which is easy to use, is known as a Dobsonian mount and, while these aren’t great for photography, they are excellent for beginners learning their way around the sky.